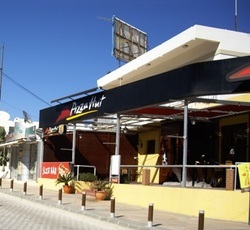 Pizza Hut have 2 restaurants in Ayia Napa. One is open all year round and is located on Makarios Avenue just a couple of minutes walk from the main square in Ayia Napa. the second restaurant is on Nissi Avenue, midway between the town centre and the Nissi bay area and is open only during the summer months. Plateia is a new restaurant for 2013 and is located ext to the fountain and church in the centre of Ayia Napa. It is part of the Napa Plaza Hotel complex and is open for dinner service throughout the summer months. 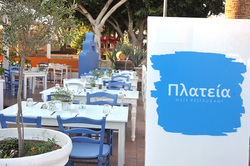 Plateia serves traditional Cypriot and Greek food as well as meze. 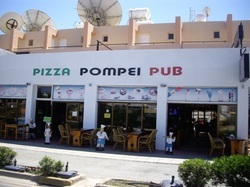 Pompeii is open all year round and has a huge choice of pizzas as well as other dishes. 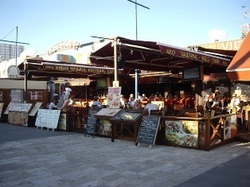 Located on Nissi Avenue close to the centre of Ayia Napa, it is open for breakfast, lunch and dinner and late at night. Potamos Restaurant is a fish and seafood eatery loacted on the Potamos River just a couple of miles out of Ayia Napa, past Ayia Thekla. open for lunch and dinner service, Potamos is very popular with local people. Quadro is located just a couple of minutes from the monastery in the centre of Ayia Napa and is open during the summer months for lunch and dinner. It serves a mix of Italian and Mediterranean dishes including pizza and pasta. The Queen Vic is open during the summer months for breakfast, lunch and dinner as well as having shows, karaoke and UK TV in the evenings. It's menu is pub grub style with a wide choice of British favourites. The Queen Vic is located at Ayia Napa harbour. 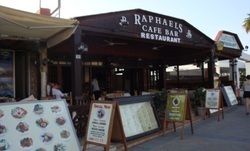 Raphaels is located just a few minutes walk from the harbour in Ayia Napa and is open during the summer months for breakfast, lunch and dinner. Raphaels restaurant has an extensive menu of Cypriot and international dishes. 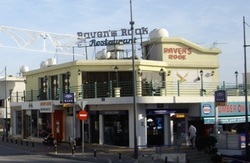 Ravens Rook restaurant has fantastic views over the centre of Ayia Napa from it's rooftop location opposite the monastery. It is open during the summer months for dinner and serves Cypriot and international dishes. 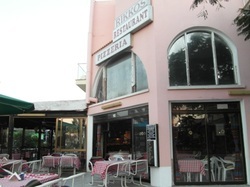 Rikkos pizzeria serves a range of dishes including pizza and grills. It is located at the start of the main strip (Ayias Mavris) near the centre of Ayia Napa and is open for lunch and dinner during the summer months. Sacramento is located on Nissi Avenue, mid way between the centre of Ayia Napa and Nissi Beach. It is open all year round for lunch and dinner and offers a selection of Cy[riot and international dishes. 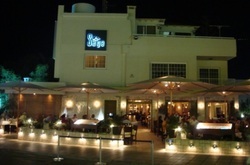 Sage is an upmarket restaurant that offers fine Mediterranean dining in romantic surroundings. It is open during the summer months for dinner and is located in between the monastery and the museum of Ayia Napa. 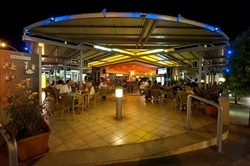 Seasons Cafe is located in the heart of Ayia Napa, on Nissi Avenue opposite McDonalds. It is open during the summer months throughout the daytime and evenings and serves snacks and light meals. 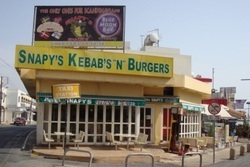 Snapy's kebabs can be found on the main road just off the top of the square. It is open during the summer months through the day and into the early hours and serves a variety of fast food items.